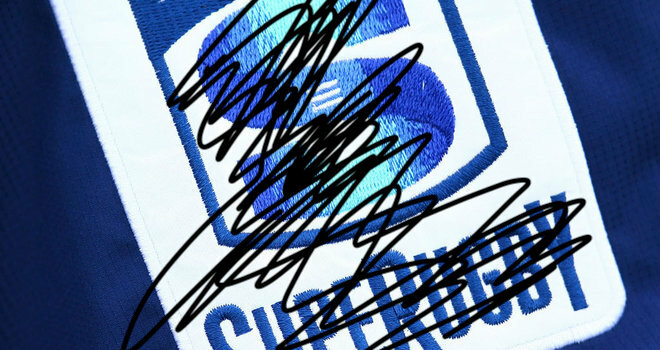 Home Opinion SupeRugby is dead. Dead dead. Like any other February, this year I tried to drum up some interest in this once fine tournament that has been well and truly ruined. I made this video, which started out in an informative way, but ultimately just ended in honesty. Into the season we went and again it was an immense struggle to care about the games, or find anyone outside of a gambler or actual player that did. The stadium attendences were even worse, which in itself is an achievement, and by the time the ‘international break’ came round many rugby fans were only about to watch their first game of the season. I work in sports media, so this isn’t me just merely making this stuff up. I chat to a lot of people on the subject, and can gage quite a bit from my social media audience. Then we get to that part of the season when people do start talking about the competition, the playoff stage. No, not because they are excited for the knockout stages, but because of how the knockouts go down. Have a look at the log. Lions, Waratahs, Jaguares, Sharks have all won less games than the 4th best New Zealand side. One sided competition. The Lions and Waratahs win only 9 of 16 matches, but they get home playoff matches. The Crusaders only lost 2 matches but still have to play a team that lost 8 matches to get into a semi. SANZAAR tweeked the format this year to make it more competitive and with just 15 teams involved. But it’s still a joke, only now people aren’t laughing. Or watching. I love sport, it’s a huge part of my life, and rugby was part of my upbringing. But I physically can’t bring myself to watching this thing. I have tried betting to get me into it, I have thrown myself in SuperBru pools, I have tried it all. So just imagine what the average sports fan feels! But this article really isn’t about stating the obvious, it is about actually moving on. This tournament is dead, like dead dead. SA Rugby now need to put their big boy pants on and stop this circus, consolidate their position at home and look towards Europe as the future. Our top local players don’t need all this stupid travel, a mindless tournament that New Zealand teams will only ever really win, and something that nobody watches them in. We need to make South African rugby ‘great again’, put money and attention back into the Currie Cup, get people back into the stadiums and let New Zealand and Australia and the rest do their own thing. Knowing South Africans are not watching rugby on the weekend is a cultural and societal problem, and we can’t ignore it any longer. I’m still in 2 minds on heading north. SuperRugby is still the premium provincial competition in the world. Heading north kills it, but SuperRugby in the current format is definitely dead. I’m with you on that one Aldo. Heading North is not as easy as these guys make it sound. And playing the competitions like the Cheetahs and Kings have done do not bring in that much more money than super rugby. As long as our teams will be excluded from the real lucrative leagues and competitions up North, it really does not make that much sense yet. As for declining viewership, that is a no brainer. In SA you are expected to fork out close to a R1,000 a month to watch rugby on Supersport, and with the decline of DSTv subscribers (100,000 in 2017 and 40,000 so far in 2018) that trend will only get worse. Watching the highlights of the Lions / Jaguares game, you cannot help but notice the many empty seats on Saturday. People really do not even want to go and watch suer rugby play-off games live anymore. It is not just Super Rugby. Rugby watching in general has become extremely boring. Too many phases, too much passing and too much running. This is not rugby as we know it. The empty seats at Ellis Park over the last few years whilst the Lions had been a contender for the trophy should be evidence enough. That is nonsense. The stadium was half empty during the semi last year and there.was a whole bunch of open seats visible during the final. When the Bulls or the Stormers or the Sharks were title contenders their stadiums were full. The fact that so few people bother to go watch a winning Lions team, is not the Lions’ fault, but it is clear evidence that the brand of rugby they play is boring and unattractive. It’s not just the Lions. Various SR teams have now adopted the same style and I invariably find myself fast forwarding through games from about minute 50 onwards. Thats about as much phases as I can stand in a weekend. Test rugby is not much different. The French went through 100s of phases without scoring a try against the ABs and apart from the close scorelines the Aus v Ire games were hyper boring. 23 phases between the two 10m lines for one team and then 23 phases for the other. I not sure wtf they played,but it was not rugby. The stadium was half empty during the semi last year and there.was a whole bunch of open seats visible during the final. I was at both games. Tickets were sold out a week ahead of time and a mouse couldn’t move to a seat during the game. I agree with you on how much the ‘style’ of much rugby has changed for the downside… but I disagree with you on the Lions as an example of your argument. The Lions are still the only RSA team that smash the break-downs at pace, actually bother to counter-ruck, concentrate on their set-pieces, pick-n-go at pace before everything else falls into place. Kafer’s tech analysis on the coming game is as good as you can get… hopefully it is available on YT. @bryce_in_oz: What does he say? I remember the Lions announcing that the game was a sell-out and I believe it was true. But what does it say about the quality of the show when people who had paid for tickets did not bother to show up. Will upload the segment if I can edit it easily.